Nick focuses on developing strategies to solve his clients’ most pressing disputes. Whether the client is an individual, a small business, or a Fortune 500 company, the goal is the same: distill and present complex facts and legal issues in the way that is most likely to persuade the court, a jury, or administrative agency. Business injuries and unfair competition. Nick helps businesses resolve commercial and competitive disputes as both plaintiffs and defendants, in controversies ranging from breach of contract to unfair trade practices and intellectual property infringement. He also represents companies and individuals in shareholder disputes involving claims of oppression, breach of fiduciary duty, and unfair dealing. State regulatory and tax disputes. Nick helps clients navigate state regulatory disputes with strategies tailored to achieve their business goals, whether in court, in regulatory proceedings, or before state legislatures. His regulatory clients have operated in numerous fields, including e-commerce, telecommunications, advertising, alcoholic beverages, healthcare, and insurance. He also has deep experience in state tax litigation, representing corporate clients suing state governments in tax refund cases across the nation. Appeals and critical motions. Having experienced appellate counsel defend a trial-court win or overturn a loss can make all the difference. Nick has represented clients in appeals in more than a half-dozen state supreme courts, before multiple federal courts of appeals, and in petitions for writs of certiorari to the United States Supreme Court. He also steps in to handle critical motions, helping lawyers obtain favorable results on motions to dismiss, for summary judgment, and after trial in their most important cases. 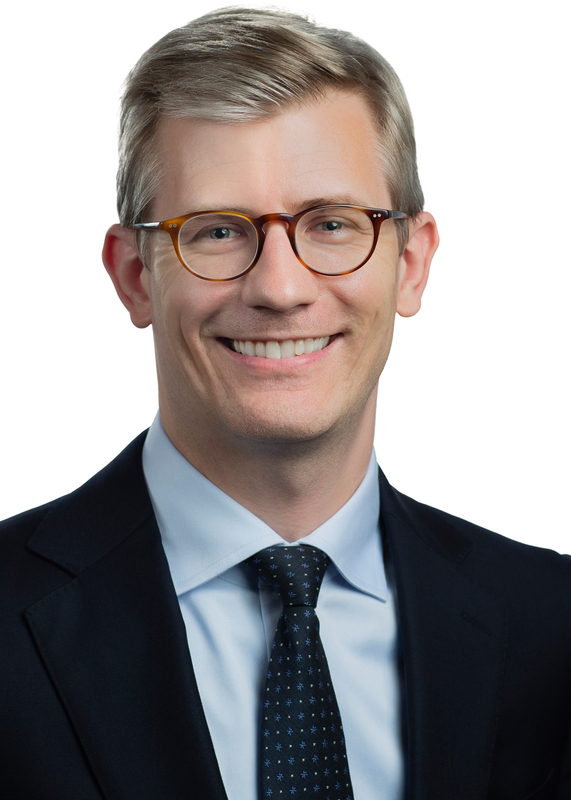 Before joining Duffy & Young, Nick practiced for five years with the international law firm of Orrick, Herrington & Sutcliffe LLP in New York City, where he represented businesses as plaintiffs and defendants at every level of federal and state courts, and protected their interests in state legislatures and before state administrative agencies nationwide. He previously served as law clerk to Judge James L. Dennis of the U.S. Court of Appeals for the Fifth Circuit in New Orleans, and to Chief Judge David C. Norton of the U.S. District Court for the District of South Carolina in Charleston. Nick is a 2006 honors graduate of the University of South Carolina School of Law, where he was Editor-in-Chief of the South Carolina Law Review. Represented a major chemical products manufacturer in multiple high-stakes consumer products litigations, and defended claims involving alleged failure to disclose significant environmental contamination in the sale of an industrial facility. Represented the satellite pay-TV industry in trial and appellate litigation in four states challenging sales taxes on video programming, asserting claims under the U.S. Constitution for denial of equal protection, due process, and discrimination against interstate commerce. Represents DISH Network in state and local tax matters nationwide, achieving key wins in challenges to Oregon’s methods of assessing property tax on communications providers and to the application of Connecticut’s gross earnings tax. Developed and implemented strategies for companies to advance their policy goals in tax and other fields in state legislatures, attorney general offices, and state agencies. Regulatory fields have included gaming, sports betting, daily fantasy sports, insurance, professional licensure, healthcare, and alcoholic beverage control. Represented one of the nation’s largest online wine clubs against regulatory enforcement proceedings that would have shut down its operations in a major market. Using a strategy that combined regulatory advocacy and litigation, the legal team secured a favorable settlement that preserved the client’s ability to serve hundreds of thousands of customers each year. Drafted petitions for writs of certiorari to the U.S. Supreme Court in cases involving patent and intellectual property rights, constitutional issues, and federal criminal law. Advised telecommunications providers on unfair trade practices issues, compliance, and risk management with respect to customer-facing pricing statements and advertising statements. Represented a mortgage-backed securities firm against regulatory enforcement action for alleged misconduct arising from the 2008 financial crisis. Prevented the deportation of a Haitian immigrant with life-threatening medical conditions who would have been persecuted, tortured, and denied treatment upon return to his native country. Negotiated a settlement under which the U.S. Department of Justice agreed to exercise its discretion to grant a new hearing.